Want to get started in devotional reading? 120 original and practical experiences to enable you to step into the thrilling story of God. Why do we still do devotions as if it's the 19th century? We preach about 'knowing God' and we learn experientially in many other ways. So why don't we step into the story of God, rather than just read it? 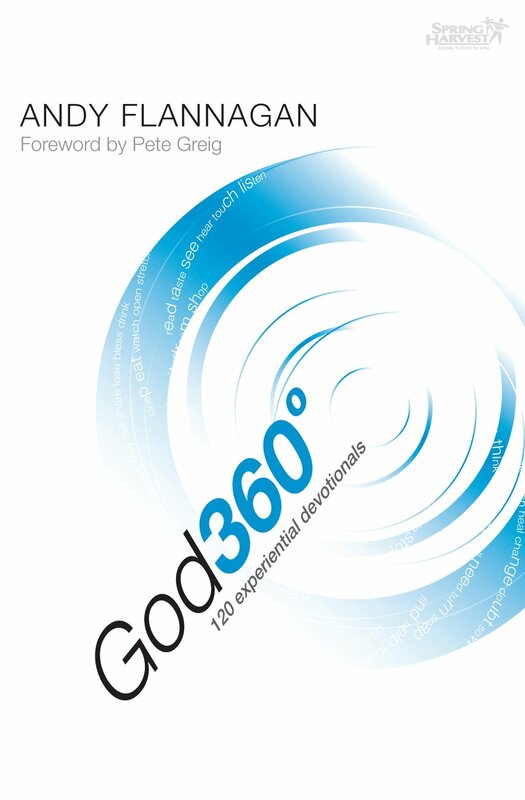 God 360 by Andy Flannagan was published by Spring Harvest in March 2006 and is our 686th best seller. The ISBN for God 360 is 9781850786870. Every person NEEDS this book in their life! GOD 360 is pure genius! A way to connect deeply with God through normal, everday tasks! My spiritual life has never been awakened more! My leading/teaching times have become so much more inspired! Really, I don't know how I managed without it! Everyone who's taken a look at it have ordered themselves one straight away! Got a question? No problem! Just click here to ask us about God 360.